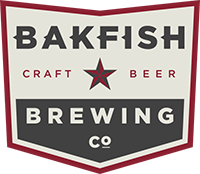 EVENT: 288 Rotary Club | Bakfish Brewing Co. If your interested in Rotary or just want to know more. Please join us as we get to know each other outside of Club meetings. EVERYONE IS WELCOME! Rotary brings together a global network of volunteer leaders who dedicate their time and talent to tackle the world’s most pressing humanitarian challenges. Rotary connects 1.2 million members from more than 200 countries and geographical areas. Their work impacts lives at both the local and international levels, from helping families in need in their own communities to working toward a poliofree world.